Be deliberate in the messages you surround yourself with. When life is hectic and we are rushing through our week, it is important to do things that can cause you to snap you out of your everyday routine (even for a second) and into a new frame of mind. My house is surrounded with written messages that are reminders to my family and I of what is truly important. My phone home screen has the message “I am here with you” to remind me to stop and be with my kiddos instead of answering the text, email or call that is taking me away from them. A painting on my wall showcases guidelines for our family prioritizing laughter, kindness, honesty, forgiveness and more. We generally do not need reminders to chase your emails, make a new recipe every day, sweep the floor and say yes to everything, but especially as moms those gentle reminders to be present in your day and prioritize people are needed. The messages we receive in our environment are as important as the messages we say to ourselves. As we journey toward living mindfully, we learn that one of the most important aspects of this lifestyle is paying attention to thoughts. 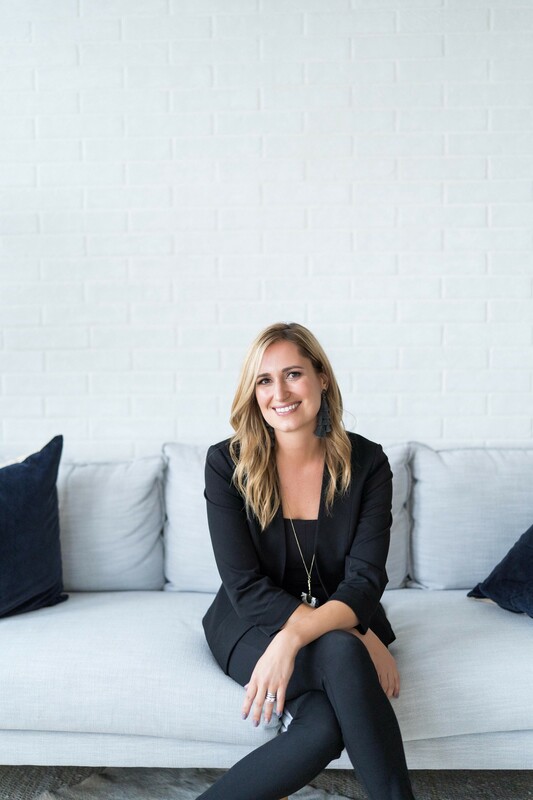 As a part of my series about “How to Slow Down To Do More” I had the pleasure to interview Lydia Vargo, Senior Director of Strategic Accounts at ChicExecs. Following four years of study in Science and Psychology, Lydia was as surprised as anyone when she landed a great job in the finance industry after graduation. A very successful six-year career in Marketing & Sales with a leading Mutual Fund company taught her how to make her way in a fast paced, competitive and often harsh environment. 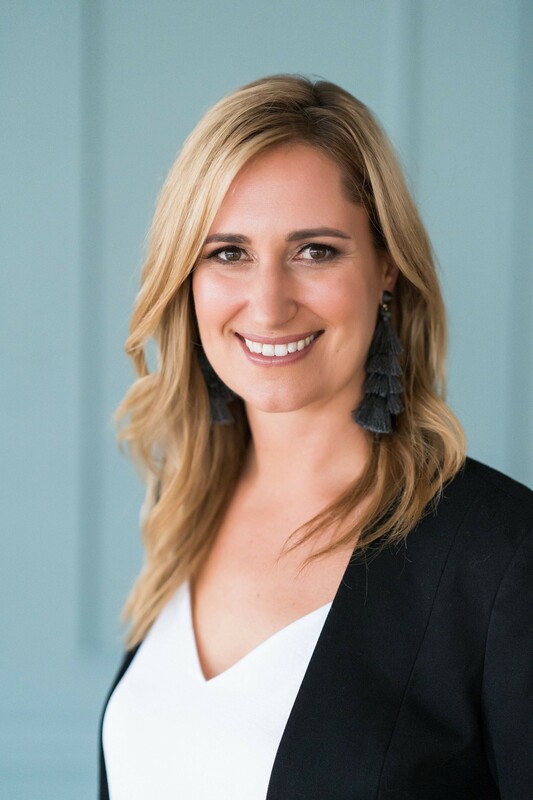 With a passion for understanding people and how to build on one’s natural strengths and struggles, Lydia spent much of her time doing business presentations for her clients on how to get the most from their team, prospects and self. Lydia came to ChicExecs after moving to California in early 2012. She was drawn to the company’s clear focus on ethics, respect and the belief that every idea has merit and with the right team behind it…the recipe for success. With degrees in Science & Psychology I worked for years for a top Canadian mutual fund company before a year of travel and 4 years in Melbourne Australia. 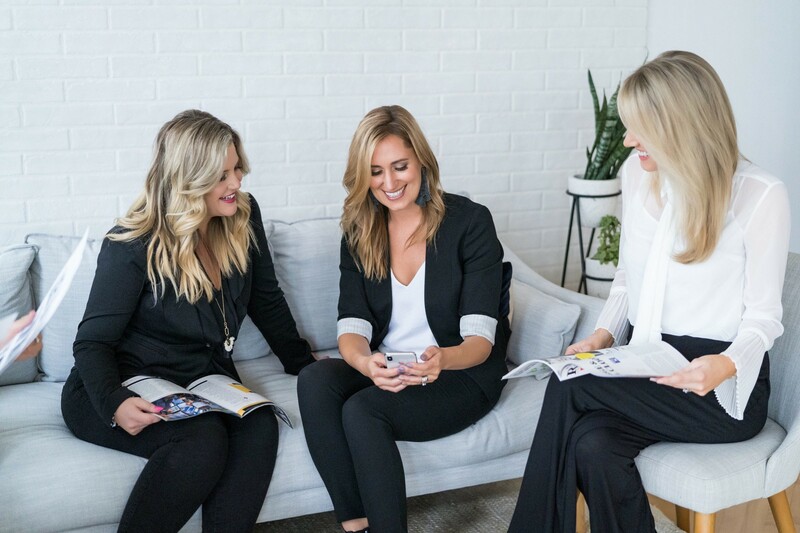 I found ChicExecs after moving to the USA and was immediately drawn to the company’s story and passion for helping brands of every level meet their goals. Society nowadays is conditioned to seek immediate gratification. Hungry and don’t feel like cooking? Drive-thrus & ready-made meals are at your disposal! Have a question about a person, place or thing? Google has the answer for you in seconds! Immediate gratification is lovely however has also lessened our ability to be patient. Where once we had to read books to seek answers, choose ingredients and prepare a meal step-by-step, technology has now provided answers with the touch of a button. In a sense, our current environment of “access to information & door to door services” has left us feeling a heightened sense of urgency and being “rushed” to move on to the next thing. Although life can be more convenient….we potentially run the risk of missing out on the process, and hence the sense of achievement and fulfillment in the journey. Perhaps the need to “stop and smell the roses” is more relevant now than ever before? I believe that universally we can all agree that the sense of feeling rushed is not a positive emotion. No one enjoys a looming deadline or the sense of being late and needing to “catch up”. These feelings can lead to hurrying through our task which is not conducive to our best work. When you are not taking the time to be intentional in your work, you end up lowering your productivity and questioning your overall ability. All of these stressors can not only lead to a decreased sense of fulfilment, but can also wreak havoc on our overall health and wellness. There is a sense of pride that comes when people respond to the question of “How are you?” with “I’m Busy.” We often wear our many hats and ability to multi-task with pride (which on their own are certainly worth celebrating) however at times these traits can be ranked higher than those that affect our sense of fulfillment and life balance. Making dinner while simultaneously answering emails, texting your partner and helping your children with their homework, may feel like you are “getting it done,” however when we look more closely we might see areas where we are missing out. Is the joy in making that new recipe lost as your attention is divided? Are you giving your spouse, friends, colleagues & clients the time they deserve in your email/text communication? Are your children witness to your distracted/unengaged help and feeling low down on your priority list? Could you be missing out on that moment when their eyes light up as they finally understand that math or science problem? These tasks that we rush through can be empowering but also leave us with a sense of emptiness as we miss out on the beauty of the journey. 1) Be deliberate in the messages you surround yourself with. When life is hectic and we are rushing through our week, it is important to do things that can cause you to snap you out of your everyday routine (even for a second) and into a new frame of mind. My house is surrounded with written messages that are reminders to my family and I of what is truly important. My phone home screen has the message “I am here with you” to remind me to stop and be with my kiddos instead of answering the text, email or call that is taking me away from them. A painting on my wall showcases guidelines for our family prioritizing laughter, kindness, honesty, forgiveness and more. We generally do not need reminders to chase your emails, make a new recipe every day, sweep the floor and say yes to everything, but especially as moms those gentle reminders to be present in your day and prioritize people are needed. 2) I promised myself years ago that I would not let my kids go to bed without at least 10 minutes of delighting in them. I am not talking absentmindedly asking about their day, but rather looking into their eyes and remembering why they are the most important things in your life. Just one minute of really seeing our children and letting them know that you are in the moment with them, is more powerful than an afternoon together where everyone is on their screen of choice. 3) 80/20 rule. Analyze where you are the most productive and do your best work…spend 80% of your time on that/those clients, and give yourself permission to spend less time on the rest. 4) Choose trusted people to keep you accountable and balanced!!! I am a self proclaimed workaholic which means that I am very aware of my inclination to choose work over my loved ones & myself. Because of this open admission- I have designated trusted people to call me out when I am too rushed and imbalanced. At times I choose to leave my phone in my car or at home when visiting with friends for the simple purpose of eliminating the temptation completely. 5) Self Care! Self care does not equate to selfishness. I believe that is something we all need to be reminded of at times. Pampering yourself, saying no to an invitation, unapologetically turning off your phone and laptop are all examples of putting yourself first and decreasing the noise that can plague our tired minds. When life is hectic but we are “full,” then we are able to step up and conquer a challenge, on the other hand when life is hectic and we are running on fumes…life can be overwhelming and we increase our personal stress and that of our loved ones. I personally prioritize exercise and regular facials to fill my bucket increase my health and productivity. 6) Give yourself time!!!! Feeling rushed can be highly stressful and depleting in many ways. Giving yourself a time buffer can greatly decrease the stress around a deadline. Set your alarm 20 minutes early, plan to arrive 10 minutes before everyone else, give yourself permission to work for an additional hour so you can fully enjoy your weekend, don’t wait until the 11th hour to start your work assignment. Stress can have serious ramifications on our bodies and even though the idea of an additional 20 minutes of sleep may seem appealing…feeling rushed and in “catch up mode” can have far worse physical effects. Mindfulness for me means being “in the moment” and intentional in our choices. Mindfulness in my life means that when my kids actually take the time to tell me about something that happened in their day…that I stop, look them in the eye and LISTEN. No interruptions… just listen and count myself lucky that they are confiding in me. Mindfulness in my mind means LISTENING and SEEING with the intent of gaining a deeper understanding and drawing closer to the person and situation. My personal phone and computer home screen do not portray messages of “work harder” but more of “be still and in this moment”. Life moves quickly and if you don’t stop and live each moment and situation, you may very well miss a crucial moment in your personal development and overall joy in life. Honestly, my favorite resource for mindfulness are the people in my life. My daughters who unabashedly and innocently seek my attention, my husband who gently reminds me that I need to be present, my bosses and co-workers who take the time to acknowledge daily accomplishments and my friends who ask me about my actual day…not general well being…but the last 24 hours. Listen! See each person as a story that you can either dive into or judge from the cover. If each person felt that their story was read and truly invested in, then much of the depression, suicide and low self esteem would be eradicated. Have a question ready that is light and non intrusive that will showcase true interest in a new person in your life. Study people and learn something in every conversation you have!